Hear Hear for Bob Johnson, thanks for your honesty and integrity. Don’t run for Congress because you’ll lose both. Trump is great. America is great. My husband and I are appalled at local news coverage talking about the “poor victims of the shutdown” and interviewing people who are saying how awful it was and how they couldn’t survive financially and they are scared of others happening. We want to see stories about how people need to learn how to budget and save and not spend beyond their means. Government workers get oppprtunities to have insurance and savings and 401ks and IRAs and paid sick and vacation guarantees and more. I saw a man talking today about how his young baby might not get diapers (use material diapers every day which is environmentally better and healthier for the child and his bank account) and while talking on camera this father’s body was covered in colorful tattoos (they cost lots and lots of money) and he had a fancy expensive hair cut that was new because it was a very short style, and more evidence that his money wasn’t spent on his kid and or wisely if his paycheck isn’t sufficient. We think it’s fake news. Stop the anti Trump political agenda. Presidenial speech was fantastic. Some of the white dresses females who masqueraded as intelligent electees to office be ashamed of yourself. You shamed yourselves and your country and your party by playing dress up. You didn’t stand when truth was spoken and you failed to stand up for enslaved children at the border or in the womb. I’m changing my party registration to Independent from Democrat. @lexahammond It is immoral to allow infanticide. It shows the Democrats are not for the working class and we must work against Democrat Catholics in office that voted for late term abortion. Once a baby can live outside the womb then it’s murdering a baby. It’s no different from the Chinese tossing babies in fields when they don’t want them. Pray for us. Today I received an email from the DCCC that said defeat Susan Collins of Maine, the Republican whose represented Mainers well for many years. How do I know this? I’m a Democrat from Maine. I vote Maine first. I will vote for Susan Collins because she has always put Maine first. I will not follow some twentysomething AI robo spam from DCCC that says any Republican is bad, any woman Republican is worse, and any Independent should burn in hell. I vote for Maine, not for Washington DC. I vote for freedom, not socialism. I vote for a woman whose done a fine job because she’s done a fine job and screw the Demophobes in DC. Great for Maine. Stand up women of America. Tell the Democrats and Republicans to Foff. They disrespect us and tell us to do what the men do. We are better than that. I vote for women of freedom and independence. Maine is the freest and best of American states. Susan Collins deserves to be respected. She has my vote. Democrats approved infanticide for party platform and cheer vote so where are the stories SedonaEye.com & Red Rock News??? Where do you stand?? Where do the churches and synagogue stand?? You people pretend murdering full term babies doesn’t matter?? I’m pro abortion but never when the baby can live outside the womb should it be murdered. Call your representatives and senators today. Demand they stand up to this madness!! We worry about clean air and trailer parks and never children?? Democrats fly to the border and photo op concern for children separated from families and can’t stand up or be heard for infanticide or baby murders?? Who are you people?? @BarbaraSedona LMAO they’re the same Democrats supporting anti American comments of Minnesota and New York elected racist & elected (deleted by editor) mutants. Can you stop laughing about that ignorant Green Deal that’s neither (deleted by editor). Give it a headline friendly name like Smart Meters and the racists and bigots win hands down every time. BTW teachers be aware that communist countries pay their teachers on average $500 per month with no benefits and subject to firing at will. Look it up. Saul Alinsky wrote he didn’t value free public education and voting for the stupid masses but you don’t read, and he also said you were sheep and people like Stalin and Lenin and Mao were good men. You’re a (deleted by editor) place Sedona. President Obama declared 12 national emergencies in 4 years; Trump has declared 3. Let’s keep it straight, Democrats and Nancy Pelosi. Bill Clinton declared 17 national emergencies, the Democrats are famous for it. Pelosi is not a leader and is an (deleted by editor) of the left wing of her party. Goodbye Pelosi in next election. She’s a dinosaur and represents only intellectual dinosaurs, ones that don’t understand history and economics. We Millennials want secure borders because we’ve grown up with insecure borders. Get it done. Pay attention VOC supervisors and Sedona politicians. You need to stop prostituting for tourist dollars. Since we now have the first billionaire as President, roughly $15,000 per middle-class family per year has gone into the pockets of the rich. Our unequal, unfair system of wealth and power is on the rise under our visibly unhinged President. @alarmed Your numbers are wrong. The middle class average increase was $600 after all else was taken into account says both left and right leaning institutes and the IRS. Middle class is defined differently per each state, and in some like Arizona, each city/county/state based on taxes. Sedona falls into highest taxation equation because it has a tax, the county has a tax, the state has a tax and the federal government has a tax. For an example if you lived in Tennessee, you wouldn’t have two of those taxes. If you live in California or Illinois or NY you would have the highest tax brackets of those above mentioned taxes. Simply saying $15K has gone into pockets of the rich is not correct as only 2% of the nation is rich, and 65% is middle class. The rest don’t pay or pay minimal taxes under the new tax rates which are simplified. The best way to help the 65% middle class and those with lesser incomes is to lower the sales taxes that are the purview of local elected officials. Local sales taxes increase when local governments cannot control spending. The President doesn’t do more than propose a budget, it’s the Congress that passed this budget and added more taxes and expenses on. 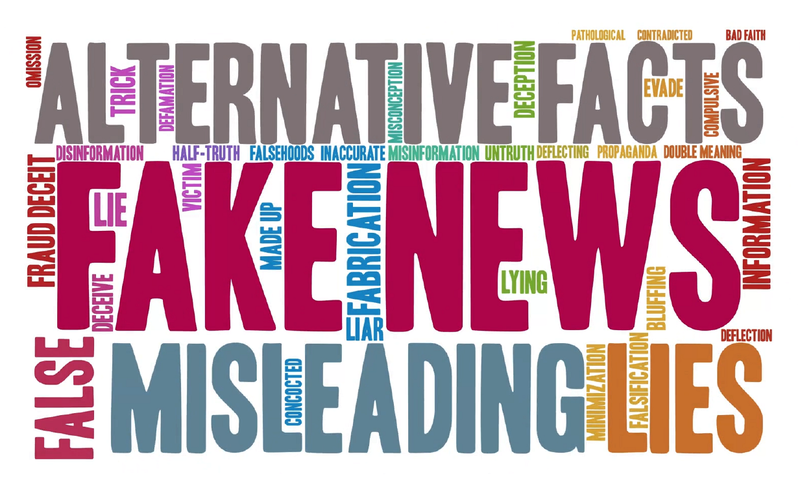 I’m a former auditor with many years of experience and I’m proudly nonpartisan but President Trump did not do as the media wingnuts try and sell to those reading headlines and not doing research. Give the man credit for doing a great job with the economy, trying to sell peace and restore our trade. He’s earned respect and has brought jobs back to America and he’s right on immigration. Do your own research and don’t accept headlines or even what I say. Thank you. 2nd highest billionaire donations in 2018 campaign according to Open Secrets goes to the guy who wanted Amazon in New York only to be told by his New York Democrat Liberals that they didn’t want or need jobs or the success it would offer to those wanting higher skilled jobs. New York, NY gave $94,955,032.00 in donations to Democrat Liberals. In case you don’t understand this information, number 3 biggest 2018 campaign billionaire donor was a Democrat Liberal from San Francisco California named Thomas Steyer and he donated $72,416,7122.00 and about 45 more Democrat donors in that Top 100 including several Soros names…you should go read them. Millions and millions of dollars donated. (The Top 100 billionaire 2018 political donation list didn’t have a Trump name on it so you can rest easy now voters.) It’s really about equal between billionaires for the two parties, but you’ll likely not get this information as I bet this comment won’t get posted by this news group. Hi we’re Dayton OH natives looking to live full time in Phoenix or Anthem area. We drove to see Bell Rock Park when travelling south at the beginning of the season and it was a impressive sight. Tried to find a gem rock store our upstate AZ friends had suggested near it but didn’t find it but instead found a nice hardware store with a momento of Sedona for our winter garden. Thanks for the lasting memories and thank you to the nice young man Christopher, he wrote your website address on our lunch napkin and showed us how to leave comments. @Harry Anderson, Boston MA. You need to correct your economic fiction. According to the Pew Research Center, the middle-class now makes up 50% of the total US population as compared to 61% in 1971. Your 65% is hooey. And from the TAX POLICY CENTER, a nonpartisan think tank: Many middle-class taxpayers are seeing tax increases. The TPC states that about one in seven middle-class households will pay $1,000 more in taxes in 2018; there’s no data on how many will pay higher taxes that are less than $1,000. The Trump tax cuts haven’t paid for themselves in one year. This was a legislative victory for the wealthy and corporate America at the expense of the middle-class and poor. With 80% of the benefits of Trump’s tax cuts for the top 1%, roughly $15,000 per middle-class family per year are going into the pockets of the rich. Don’t muddy up the water with your nonsense about Tom Steyer, Michael Bloomberg, George Soros and the like. NATURALLY, Trump’s name is not on political donation lists. He’s not a donor. In fact, the NEW YORK attorney general filed suit against President Trump and his three eldest children late last year alleging “persistently illegal conduct” at the president’s personal charity. The AG said that Trump had repeatedly misused the nonprofit organization to pay off his businesses’ creditors, to decorate one of his golf clubs, and to stage a multimillion-dollar giveaway at 2016 campaign events. According to tax-law experts, the NY attorney general’s lawsuit could trigger tax penalties by the IRS. BTW, on Dec 18, 2018 the scandal-plagued Donald J. Trump Foundation agreed to dissolve itself. Besides the 1% who are straightforward rich, the 10% whose average net worth is $4 million are considered rich. Neither the Pew Research Center or the Tax Policy Center brought up the stuff you are saying. @alarmed Overall you made my case and not your own, because following the money is reality and not fiction. It’s interesting sharing points of view. Have a good day. What does the Wall Street Journal say about The Tax Policy Center (TPC), a joint venture of the left-leaning Urban Institute and Brookings Institution. The Center is made up of national experts in tax, budget, and social policy who have served at the highest levels of government. Overview “Nonpartisan”? Undue Influence ECPI and Labor Unions. Overall, we rate the Tax Policy Center least biased in research and left-center biased as a whole, based on a blog that favors left leaning policy issues. This source is also high in factual reporting. After carrying out a six-month investigation into poverty and inequality in America by following the money, the United Nations castigated the Trump administration for consciously exacerbating US poverty levels that are already the most extreme in the western world. Like when NY Mayor Bill Deblasio finally tells AOC she’s a moron for opposing Amazon? like when the New York housing project tells AOC she never bothered to talk to them before mouthing off about Amazon because it was setting up a training center to train residents after promising to hire all successful trainee graduates? Like we want those idiots working? @F.Y.I. So what you are saying is Socialism is the only way to go? Wonder if the folks in Venezuela would agree? If immigration laws had been enforced over the years we wouldn’t be having the problem. We need that wall or whatever it will take to disallow illegal immigration. People are welcome but they must obey the law and come to this country legally. Then get a job and pay taxes! Especially when we go totally Socialistic and will happily share our profits from good, honest hard work with the idlers who have come to depend on entitlements as a way of life. I’m getting really tired of all of this baloney about a wall. We don’t need a wall what we need is to stop funding anything that goes to non-Americans. Then it won’t be as attractive to come to America. It can still be ok to allow them to work here but the bosses still have to deduct salary tax like everyone else. We already have socialism in this country, Kay. It’s socialism for the rich. To quote Martin Luther King, Jr.: “We all too often have socialism for the rich and rugged free market capitalism for the poor.” And for Donald J. Trump government is yet another avenue for personal enrichment. @Kay, Santa Barbara CA Agree on all points except fencing where it’s needed. The $5 bil pays one government workers paycheck now or Chicken Feed as it’s called in government. You do know how miniscule $5 bil funding is to Congress today? Basic socialist and capitalism economics 101…………Government doesn’t generate income, it depletes it. You do know under that proposed Code Red Deal (aka Democrats New Green Deal) its bill for that is in the LOTS OF NEW ZEROES TRILLIONS annual cost to budget? Are you equally umbrated about that? A California Democrat at a Sedona dinner party over the weekend laughing called that ignorant New Green Deal the New Give Them More Weed Now Deal. MSNBC said it cost $1,300 to change each apartments light bulbs in that proposal. How about creating exclusive new job for the homeless and veterans and pay them half that for each unit and building they change the lightbulbs for ????? I have a regular size Sedona house of about 1500 sq ft and it would take me an hour tops to change every light bulb on my property. Think we could eliminate homelessness in one year and they could qualify to buy a house in most neighborhoods in under a year? That could be the only line item of Code Red that Congress would have to fund. Eureka California——no more homeless issues and plenty of busy Veterans with cash to pay for healthcare. @Kay from someplace else said————-BTW, illegal Immigrants will dig underground, cross-border tunnels to enter the USA. And drugs from Mexico don’t come over a fence…..
You’re right. Drugs from Mexico and China and Iran don’t come over a fence. The are driven on back country roads across the reservation and the state lines in cars and trucks and trains where there’s no fence or take months to dig tunnels. Here’s a novel idea —–Let’s force the cars and trucks to go to Points of Entry. Now let’s get that fence built that you say drugs can’t cross. Don’t want to believe Trump then listen to Adam Schiff and Nancy Pelosi a few years ago saying exactly the same thing as Trump. It’s on the internet. Taped recordings. Today’s democratic party is in disarray and shambles, I and many friends are embarrassed to remain. All Blackish Jewish Catholic families like mine come take a stand. The democrats are no place for us. We need more politicians like Gov Doug Ducey because in…. In just 4 years, Arizona has added nearly 300,000 new jobs & turned a $1B deficit into a $1B surplus. Pima Community College excited Gov. Ducey proposed $20 mil to expand its Aviation Technology Center doubling number of students served each year to about 250. It will help economic development of the region. Some areas deserve tax dollars. Same people now on Sedona city council & staff if on Grand Canyon city council & staff would say? Boys and Girls we need HIGHRISES to see the WHOLE DAMN Canyon FROM OUR PAID TO PARK OVERLOOKS & block residents & Airbnbs FREE VIEWS! Boys and Girls we need BRIDGES & HIGHWAYS to get CHEAP LABOR FORCE HOUSING w/ FREE GOVERNMENT $$ & MOVE TOURISTS IN & OUT FASTER to OVERPRICED HOTELS & RESTAURANTS & get tourists money! Boys and Girls we need to pay ourselves BIG BUCKS to develop this HELL HOLE & move it forward in to NOW. On nextdoor, a competitive website residents asked why it was allowed that the Film festival and the Bike festival were scheduled during spring break period. Only one councilman, Chisholm responded at all that it was the Forest Service that was responsible for trails. When Chisholm was asked how much funding the city gave to the Film Festival and Bike Festival there was no response. Chisholm was the only councilperson that cared to respond, and basically said “it’s not our job”. If he is the best, Sedona is done. Then on an even more humorous note, Kim Chisholm, the counselors wife, complained on the same site that the Bike Fest participants were taking up all the parking at the dog park. “Residents don’t bother going to dog park. All parking spots taken by festival people and street is full too. I tell you what, if the counselor will not even listen to his wife, Sedona residents, including the counselors wife, have no representation. The Sedona Chamber of Commerce however gets a chair at the City council Retreat. Both weee nice events and the kicker was….. Traffic wasn’t that bad at all. Great week and weekend.. But of course in true Sedona Eye fashion …..the usual find fault in ALL..
What city did you attend at? Traffic in Sedona was terrible, 89 A backed up bumper to bumper from Dry Creek to Coffee pot. Of course ,being a city employee you would never work Friday or the weekend. Good for you to brave the elements and attend both events. Wondered how the Mt. Bike rally went with the USFS muddy trails since some of them were off limits because of the storm. From the tone of your comment it appears you are having more enjoyment attacking Sedona Eye than you did at either of the above. And just who has the grudge here? Proud of Martha McSally. She should be our first female President. She has integrity, guts and the ability to reason. Bet she wouldn’t scream and cry and throw an outrageous temper tantrum meltdown and refuse to accept the people’s vote if she lost an election like that disgusting entitled coat tail hanger. Thank you Martha McSally for being a class act. Is it true that film fest attendance declined again this year? Rumors say that’s why they had bike event to keep it from being noticed? What’s the skinny. Where’s the numbers for film fest this year? Is it cancelled for next year? If you really want to get the skinny, ASK THOSE WHO KNOW! I wouldn’t waste my time on this site listening to people who put their own spin on everything. They shout from the highest building how they know “what” will happen and how “it” happened. I guess you haven’t figured it out yet but the people who post on this site hate everything that the town does, the Chamber does, what residents do. Even though we were all tourists at one time or another, they even hate tourists. If you want to know true facts, it ain’t on SedonaEye, go ask Patrick at the film festival. Why don’t you call Patrick at the film festival? And who died and left you Queen of Sedona?? Wow – such knowledge – and not even qualified as being “an opinion” – so it MUST be true! 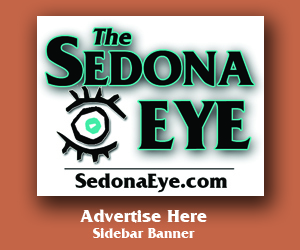 The desperation shown by those who continue to attempt to take down Sedona Eye indicates it must be a good thing, having the ability to throw a damper on the controlling agenda. Now that, for the record, is an opinion! Call Patrick? As if he would have anything negative to say about the Film Festival, funded heavily with city taxes. How many thousands of dollars annually? And he won’t give a slanted review? Get real. Besides – Film Festivals are becoming so common they are no longer a local rage. Notice an article on Sedona Eye about Arcosanti International Film Festival. 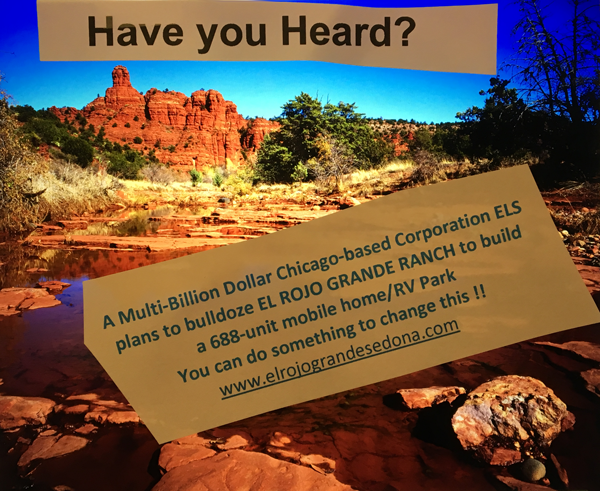 Too many equate to ho-hum events – even for Sedona. If the Film Festival is doing so well, why is it necessary for the City to grant them $25,000 every year? Does that make Patrick, who is married into the Red Rock Fake News clan, a city employee? Why does the City grant money to the Wine Fest, which Mayor Sandy owns? Why does the city grant money to a private business? What is your salary for serving as Executive Director for SIFF? And how much of that is from City of Sedona funding? Another question for an alleged non-profit. Answer should be public information.